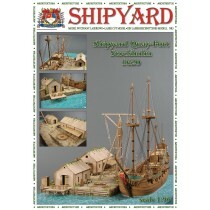 Quayport Laser Cut Models are available in 2 scales, 1/72 and 1/96. 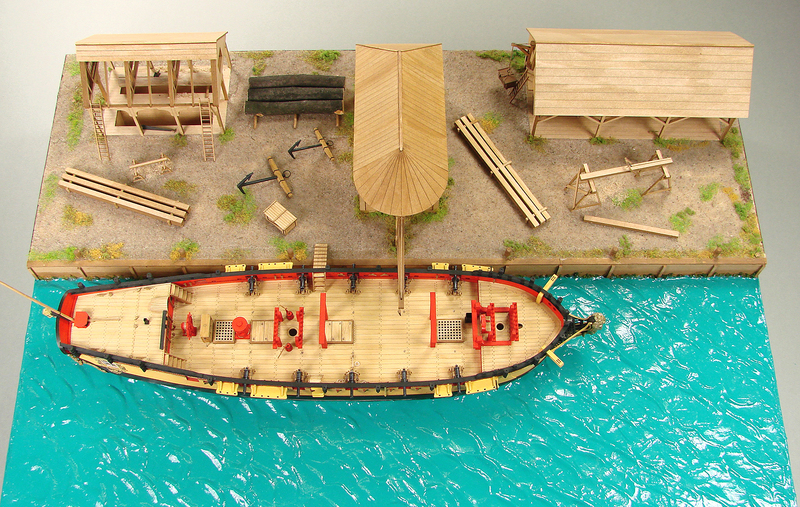 Each kit includes basic waterfront structures and water scenery base for a ship model. 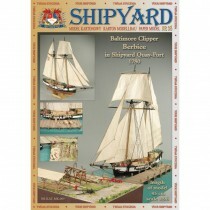 Note, however, that the bases are cut for a specific model in a specific scale, and the ship model is not included. 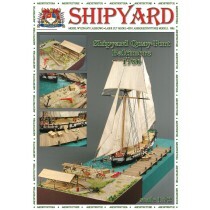 The one exception is MK009, the Berbice in Shipyard Quayport, which is a Paper Model series kit (only laser-cut parts are basic framework), and includes both the quayport and the ship model. 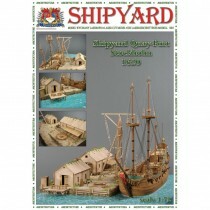 Details on the specific ship and scale can be found in the description of the quay port kit. 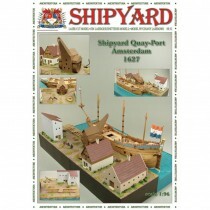 In general, 1/72 scale quay ports kits require models from the Laser Cardboard Kit series. 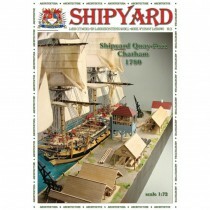 1/96 scale quay port kits require models from Shipyards Paper Model series. 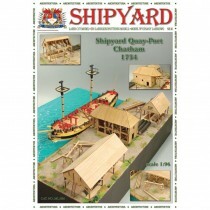 Pictured Above: 1/72-scale Quay Port Chatham 1754, Shipyard Laser Model ML086, shown with HMS Wolf 1754, Shipyard Laser Cardboard Kit, ZL029.